Farrar, Straus and Giroux (BYR), 9780374308049, 336pp. Makeda June Kirkland is eleven-years-old, adopted, and black. Her parents and big sister are white, and even though she loves her family very much, Makeda often feels left out. 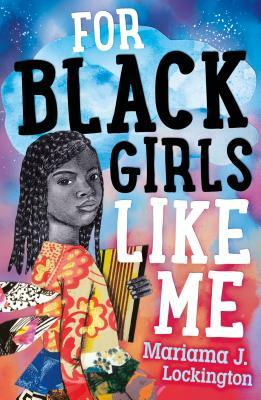 When Makeda's family moves from Maryland to New Mexico, she leaves behind her best friend, Lena— the only other adopted black girl she knows— for a new life. In New Mexico, everything is different. At home, Makeda’s sister is too cool to hang out with her anymore and at school, she can’t seem to find one real friend. Mariama J. Lockington is an adoptee, writer, and nonprofit educator. She has been telling stories and making her own books since the second grade, when she wore short-alls and flower leggings every day to school. Her work has appeared in a number of magazines and journals, including Buzzfeed News Reader, and she is the author of the poetry chapbook The Lucky Daughter. Mariama holds a Masters in Education from Lesley University and Masters in Fine Arts in Poetry from San Francisco State University. She lives in Lexington, Kentucky with her partner and dapple haired dachshund, Henry.